Say what you will about Rep. Jason Chaffetz—at least you know which way he's going to kick the political football. Utah's most nationally known House member rarely shies away from the limelight to offer up his opinions. And having been in office since 2009, the guy doesn't spring many surprises—other than, maybe, announcing he was quitting. Now, 21 hopefuls vying to fill his kicker cleats jockey to distinguish themselves from the pack. That's challenging without a metric. 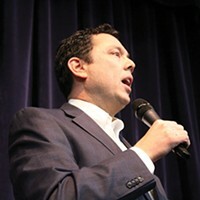 So while each candidate is his or her own person, Chaffetz himself makes for a useful watermark. District 3 residents know that he supports a free-market health system, wants the state to decide what happens on public land, rejects amnesty for undocumented immigrants, and tweeted a celebratory "God bless the USA!" when President Donald Trump dropped bombs on Syria. With that in mind, City Weekly churned each interview through the highly scientific Chaffetz-O-Meter, which spit out a score between 1 and 5—wherein 1 is nothing like the outgoing congressman and 5 is his spitting image. Debbie Aldrich is a longtime political activist and has worked with Christians United for Israel. A proponent of repealing the Affordable Care Act, Aldrich says any replacement should continue to allow children to remain on their parents' insurance through the age of 26 and should protect people with pre-existing conditions. She agrees with Trump's decision to bomb Syria. Aldrich thinks "the feds have seized too much land," and she worries about the effect of federal land policy on family ranchers. "Build that wall," she says, but doesn't agree that federal agents should "round up" undocumented immigrants, believing it would be too costly to taxpayers. Chaffetz-O-Meter: 4.5. Aldrich is a "huge supporter" of Chaffetz and lines up with many of his policy positions. Brigham Cottam is a freelance TV producer who plans to run unaffiliated if he doesn't get the requisite signatures to make it on the Republican ballot. Cottam can't envision drastically revamping health care as a completely free-market enterprise. He prefers, instead, to improve the system in place. Describing Syria as "a bag of problems," he commends Trump for being decisive but hasn't got behind full-scale military intervention. He is less concerned with North Korea. Cottam is a centrist on public lands, adding that he doesn't want to take "the amazing lands in Utah and put an oil rig on them." Immigration is not as dire an issue as some in his party make it out to be, he adds. Chaffetz-O-Meter: 2.5. Cottam distances himself from Chaffetz by half a point for sending a campaign photo wearing an American flag Speedo. He is also markedly more moderate than the sitting congressman. 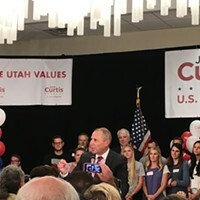 John Curtis, the sitting mayor of Provo, wishes the House Republicans would have offered a "more thoughtful proposal" when they drafted up an Obamacare alternative, but he sees plenty of problems with the current health care system. Like Chaffetz, Curtis applauds President Trump's decision to bomb Syria in retaliation for a chemical attack waged on that country's citizens. He is critical of the Antiquities Act—used to recently designate Bears Ears National Monument—on grounds that it allows decisions to be made unilaterally. Curtis supports transferring some public land to the state as a pilot program, and he's not completely against a wall if it proved to be effective and affordable. Chaffetz-O-Meter: 4. "I'm different in style," he says. "I think I align with many of his policies." Brad Daw was first elected to the Legislature in 2004 and was voted back in every election since save for 2012, but won the vote again in 2014. Daw agrees with Chaffetz that Obamacare should be repealed, and he suggests that free-market forces would result in better outcomes. He also wants the U.S. to approach foreign conflicts carefully to avoid the need for a military response. As for Bears Ears National Monument, Daw wants to "repeal it outright," and change the Antiquities Act so that state legislatures have a voice in monument creation. He could get behind a border wall so long as it's coupled with "comprehensive immigration reform." Chaffetz-O-Meter: 4. Daw adheres to many of the same principles as Chaffetz, but says his strategy for getting things done is to "seek out like-minded people," as well as "convert people to the cause." Paul Fife is a defense contractor by trade whose experience led him to believe that "bureaucracy gets way too big, way too fast." He says health care woes stem, partly, from a "duopoly" market and asymmetrical knowledge of health care pricing. The government's management of public land, he says, leads to practices that benefit the feds over the states where those lands reside. Fife, whose grandmother immigrated to America from Colombia, says the immigration policy could be less onerous without sacrificing national security. Past generations "didn't have to go through all the hoops that you have to go through now," he says. Chaffetz-O-Meter: 3.5. Fife conforms to the same GOP principles as Chaffetz, though he is to the center on many issues and perceives Chaffetz' approach in dealing with these issues to be abrasive. Jeremy Friedbaum says he experienced two shifts that influence his political philosophy: The first was when he—formerly a secular Jew—converted to Christianity, and the second was when he began studying the U.S. Constitution and converted to the idea of original intent. He says the unspoken problem dogging health care is contract pricing. He also suggests allowing medical providers to write-off unpaid bills from indigent patients as tax-deductible charity. He believes the best way to combat radical Islamists is by mocking their holy prophet, Mohammed. The federal government should own as little property as possible, he says. Even the National Parks could be managed by the states. Friedbaum also supports the idea of deputizing regular citizens, who could then help ICE round up undocumented immigrants. Chaffetz-O-Meter: 6. Friedbaum lands to the right of Chaffetz on some issues, but he is similar in that he supports ideas that could be described as divisive. A mother, a small business owner and a state senator, Deidre Henderson says she's experienced federal overreach in all realms of her life. "My goal is to leave Washington less powerful than when I found it," she says. Henderson would have voted for the AHCA, because of the "trillion in tax cuts." She trusts that states will be better suited to find health care solutions. Henderson says the U.S. should "avoid war at all costs," but supports the president's decision to bomb Syria. In Henderson's estimation, Bears Ears doesn't need additional protection offered by a national monument, and certainly not "one of that size and scope," she says. Henderson doesn't support amnesty. As for a border wall: "If that's the best way to secure our border, fine." Chaffetz-O-Meter: 5. Like Chaffetz, Henderson is high-octane. She agrees with many of his positions, and for a year she "worked for free to get him elected." A former legislator who grew up in Provo, Christopher Herrod contends that insurance interferes with free-market forces and has driven up health care costs. Eye care and plastic surgery, he says, are useful examples of medical fields that aren't encumbered by insurance complications. As for domestic policy, he says Syrian refugees would be better served in safe zones, and that he supported Trump's bombing. He would like to implement a system that penalizes immigrants who overstay their visas—revoking visa eligibility for three years if they overstay by one day or more up to one year, at which point the eligibility penalty jumps to 10 years. Chaffetz-O-Meter: 4.5. Herrod is a "platform Republican," and he agrees with Chaffetz on many issues. "We're obviously going to have different personalities," he adds. Attorney Damian Kidd—one of the first names to appear as a potential GOP challenger—considers himself "a political outsider in this campaign." 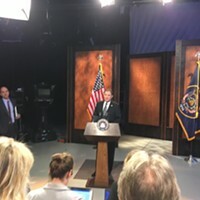 Kidd admonished Chaffetz for touting a new health care bill before he knew all the provisions it contained, though he does support a free-market health care system. Kidd believes strongly that Trump should have asked for congressional approval before bombing Syria. He is a supporter of the state taking over its public lands but criticizes Chaffetz for not being able to draft legislation that brought all sides together. To address immigration, Kidd says politicians should "stick their neck out" and be resolute and decisive. He doesn't agree that established yet undocumented families need to be rounded up and deported. Chaffetz-O-Meter: 4. Kidd sees himself a 1 on the scale. "Jason Chaffetz chief concern is Jason Chaffetz and political gain," he claims. Even if that is the case, Kidd aligns politically with the representative on several key issues. Keith Kuder, a veteran campaign volunteer, wants to fill the shoes of the man he helped elect in 2008. It's no surprise, then, that Kuder agrees with Chaffetz on most key issues, though he disagrees with the GOP health care bill's high-risk pool solution to pre-existing conditions. He admits that he's "not too educated on the topic" of Syria and North Korea, but generally supports working with allies to find solutions. Kuder supports rescinding Bears Ears National Monument, and believes "the state would do a far better job managing the [public] land." He also would prefer to allow undocumented, but otherwise law-abiding, parents to stay with their children and offer a path to residency, rather than deportation. Chaffetz-O-Meter: 3.5. Relating to immigration and health care, Kuder seems to be to the center of Chaffetz, and he considers it a dereliction of duty that "Jason is not responding to calls and emails" from constituents. 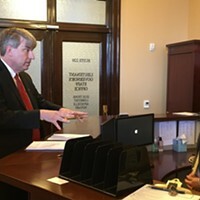 Although Mike Leavitt shares his namesake with a popular Utah governor, this Mike Leavitt hasn't held office before and is still refining his positions. Leavitt, for example, says he would ask constituents what they want him to do regarding health care before offering up a set plan. In his assessment, some public land "just gets overrun by hikers," but he does support balancing recreation with economic development. He is against a border wall because it would serve as a bulwark for "the good people," but "the cartels will still drop their drugs in the desert." Chaffetz-O-Meter: Leavitt pegs himself as a 3, adding, "I actually think he's pretty good." Fair. Leavitt doesn't share Chaffetz' level of understanding of the issues or firm positions. On those he does, he is unmistakably conservative. Shayne Row, a former IRS employee, says he is jumping in the race to represent the deaf community, specifically, and the ADA community in general. He prefers Trumpcare to Obamacare, believing the former will be more affordable. Row supports military action against hostile nations such as North Korea. He's unfamiliar with Bears Ears National Monument, but supports the idea of economic development on public lands. Regarding immigrants, he thinks if people aren't here legally, "they should have to leave." Chaffetz-O-Meter: 4. Row considers himself a 5 on this scale, but Chaffetz is in strong opposition to Bears Ears, and he also says the U.S. should try to avoid military intervention in North Korea. If, as Kuder suggests, getting bogged down with too many phone calls and emails is a Chaffetz' trait, Stewart Peay, Margaret Dayton and Tanner Ainge at least have that in common with him. None returned phone calls and emails for an interview, so each gets an incomplete on the Chaffetz-O-Meter. Dr. Kathie Allen, a family physician in Utah for 30 years, raised more than $400,000 to run for office before she filed. She strongly opposes the AHCA, concerned that it would leave more than 23 million Americans without coverage. She says a panel of experts should be tasked with advising the government on health care policy. Ultimately, she supports some form of universal health care. She calls Chaffetz' tweet celebrating the bombing of Syria "completely tone deaf. When people die, that's no reason for someone to celebrate, ever." Allen doesn't trust that state lawmakers would adequately protect public lands. She cautions against a draconian immigration policy. "Any immigration policy that rips children away from their parents seems inherently immoral to me," she says. "There's got to be a way to protect the parents of people who were born here." 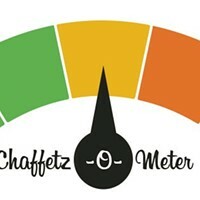 Chaffetz-O-Meter: 1. Allen asserts that her positions are "completely opposite" of Chaffetz', and she disagrees with the way he handled himself at a town hall earlier this year. Carl Adam Ingwell, an environmental organizer and founder of Clean Air Now, supports single-payer health care plan, saying medical treatment should "never be a luxury." Ingwell is pro-Bears Ears National Monument and believes the feds should continue to manage public land, which he says should be championed as an economic driver in the renewable energy, tourism and outdoor rec industries. Climate change, he adds, is the single greatest threat. Ingwell is "tired of ICE tearing families apart" and is completely against a border wall. Chaffetz-O-Meter: 1. Ingwell rated himself a 1 because the scale didn't include negative numbers. He and Chaffetz are "completely different people. We're both men and that's it." Ben Frank is a mental health care worker and progressive activist who worked on the Bernie Sanders presidential campaign. He also volunteered for a group aimed at changing campaign finance reform. Favoring a single-payer Medicaid-for-all system, Frank considers Obamacare a Band-Aid to health care failings—far from an ideal solution. The Democratic candidate wants to keep federal land federal, and "instead of looking toward extraction on public lands," Frank says, the government should be "investing in clean energy." He supports a whistleblowers-protection program where undocumented workers could alert authorities to workplace abuses without fear of deportation. "The border wall is bad policy and completely absurd," he adds. Chaffetz-O-Meter: 1. Frank bills Chaffetz as a prototypical corporate GOP politician and himself as a grassroots progressive. Editor’s note: Jeremy Friedbaum dropped out of the race after this article was published. To check out how the three third-party candidates stack up on the Chaffetz-O-Meter, click here. Politicians take to Twitter on election night. Provo mayor wins GOP primary for 3rd Congressional seat. 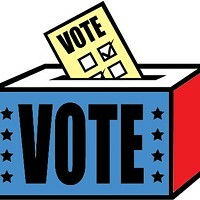 A bevy of candidates, including one write-in, aim to fill Chaffetz' seat.